You can spend all the money you'd like on getting good quality make-up , but if you're not using brushes (for example, you're using the unsanitary sponge applicators that come with some eyeshadows, ew) or you're not using the right brushes, you'll still look like a clown. 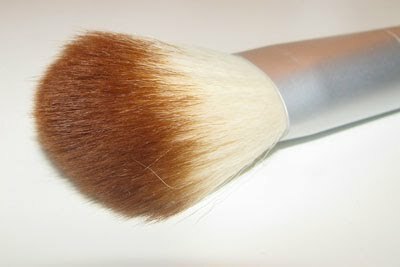 Now, I do not believe that the only good make-up brushes will set you back betweem 40 and 60 dollars, like MAC brushes. MAC brushes are a joy to work with, for I have tried them at a friends' house, but I don't think MAC or Sigma brushes are the only good ones out there. Most of the brushes I own are from here, Zoeva makes great brush sets, recommended by quite a few people on YouTube and the Dutch beauty website Beautygloss. I bought the Bamboo set for €20 about six months ago, recently they renewed the set and took out the eyebrow comber and replaced it with a crease brush, also it became a tiny bit more expensive for it is now €22. Still, it's a great price for quite some brushes of honest to God good quality. After the jump I'll tell you a little bit about my favourite brushes and why I use them and think they're important, also I'll show you my handmade brush roll, of which I'm super proud. The first brush is my Zoeva 125 stippling. 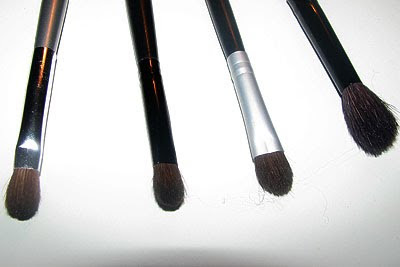 I love stippling brushes, you can use them for anything, but I mostly use them to apply my foundation. It gives a lovely almost airbrushed finish and it doesn't make your face look cakey at all, also, it prevents streaky foundation. It feels incredibly soft when you drag it across my face. Excuse the picture quality, my brush is still wet from when I cleaned it this morning. I clean it about three times per week, since I generally put foundation on every day, and I get icky when the brush is dirty. Next up is my powder brush, this brush is from the Bamboo set I mentioned earlier in this post. 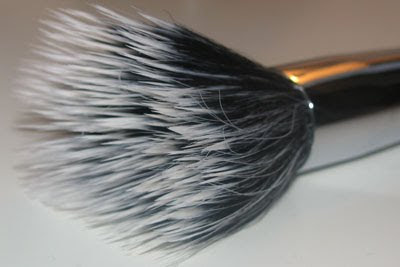 I use this brush to dust powder all over my face and neck. When using an average to good quality powder it looks beautiful on your skin, it picks up just the right ammount of product, never making your make-up look cakey, which I deem very important. You need to keep looking natural. 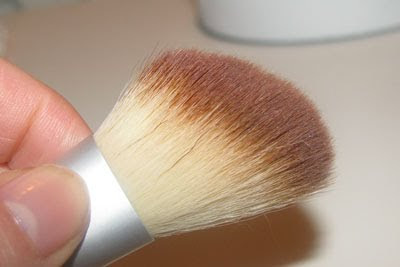 The blush brush. This brush was bought for three euros at the drugstore near my house. It was very cheap, the bristles aren't as soft as my other brushes, but it does its job marvelously. 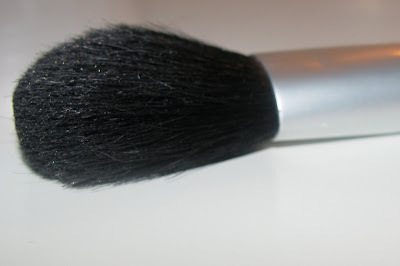 It's a really nice brush and a cheap alternative to other blush brushes. The angled cheek brush. This brush is multi-purpose. You can use it to apply blush, highlighter, bronzer and even face powder. I usually use it for either bronzer or highlighter, it depends on the look I am going for. This brush was part of the Bamboo set. Next up is the brush I use every single day, except on Sunday, since I tend to avoid putting on make-up on Sundays, unless I leave the house. The eyeliner brush. This is the second most expensive brush I have ever bought. It was €7 and it's from the special range of brushes Dutch make-up artist Leco van Zadelhof created for my favourite store Douglas. It's perfect for applying my signature winged eyeliner. 1. Fantasia eyeshadow brush 3,50 @ ici Paris XL 2. HEMA double ended eyeshadow brush (the other end had a sponge applicator, I ripped that off and threw it away) 2,99 @ HEMA 3. eyeshadow brush @ etos 0,99 4. 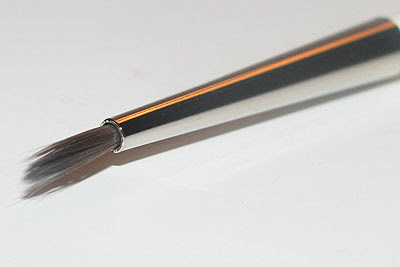 HEMA blending brush 3,99 @ HEMA.